It’s always fun to shop for heels and platforms and knee-topping boots, but you know that it’s more of a challenge to find the shoes that we’re actually going to wear on a day-to-day, all-day basis. 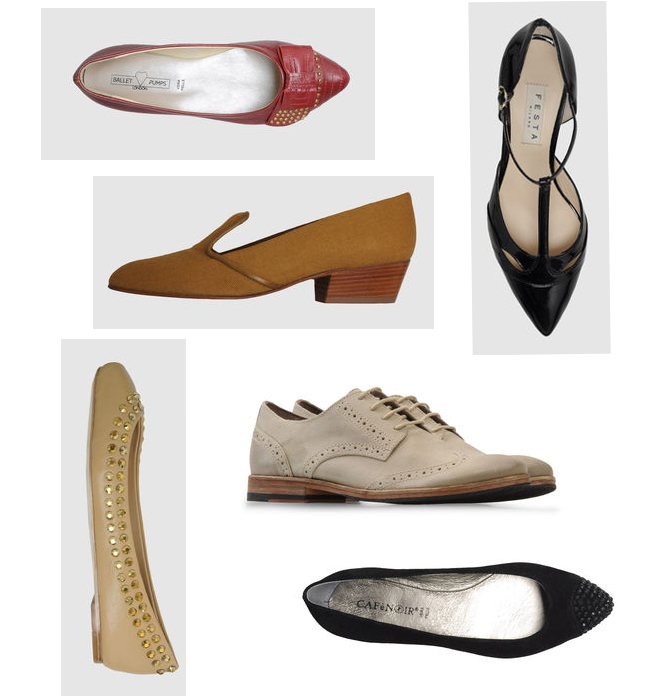 Here is a small collection of flats for fall. I’ve gone for a variety of colors, kept in some fun, and tried to bring enough polish so that they would work in most situations. These are all on sale at Yoox.com, so size availability can be a little spotty. Feel free to search for your own parameters. And if you find something you like, use the code BYESUMMER@YOOX for an additional 10% off through September 30.